They did it last season. And if it comes down to it again, RB Fred Jackson says he’s allright with sharing the running back reps with C.J. 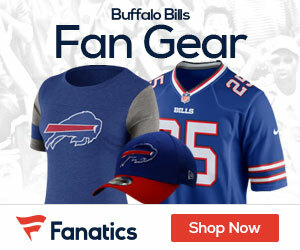 Spiller again in 2013, Buffalobills.com reports. Jackson made the comments Friday night, in an interview on The John Murphy Show on WGR-AM . The veteran Bills RB did the interview while making an appearance at the Buffalo Mega RV Show inside the Healthy Zone Fieldhouse at One Bills Drive. Jackson is two months removed from his second knee injury of the 2012 season, in which he only played ten games because of knee problems and a concussion. He’s eager to get back to work, and he’s already had a chance to sit and talk with the Bills new coaching staff.